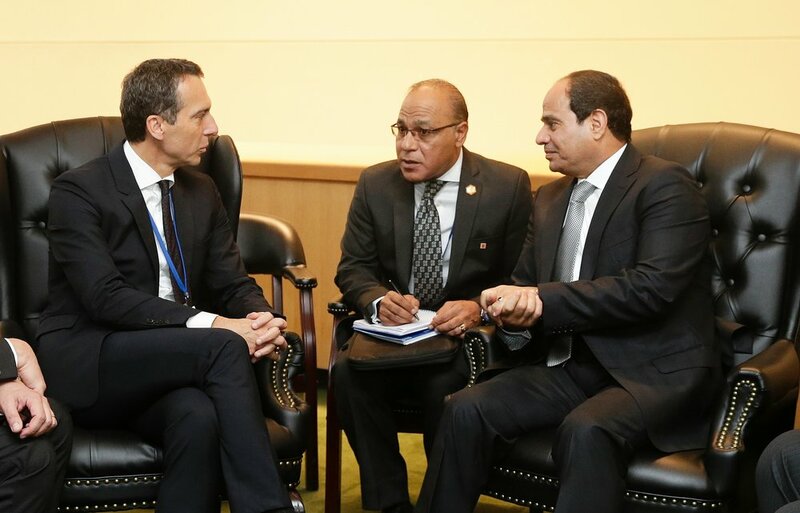 Austrian Federal Chancellor Christian Kern, Foreign Minister Sebastian Kurz, and Minister for Justice Wolfgang Brandstetter were in New York to attend meetings on the occasion of the so-called “leader’s week” of the 71st General Assembly of the United Nations (UNGA) end of September. Chancellor Kern attended the Leader’s Summit on the Global Refugee Crisis hosted by President Obama on Tuesday, September 20. 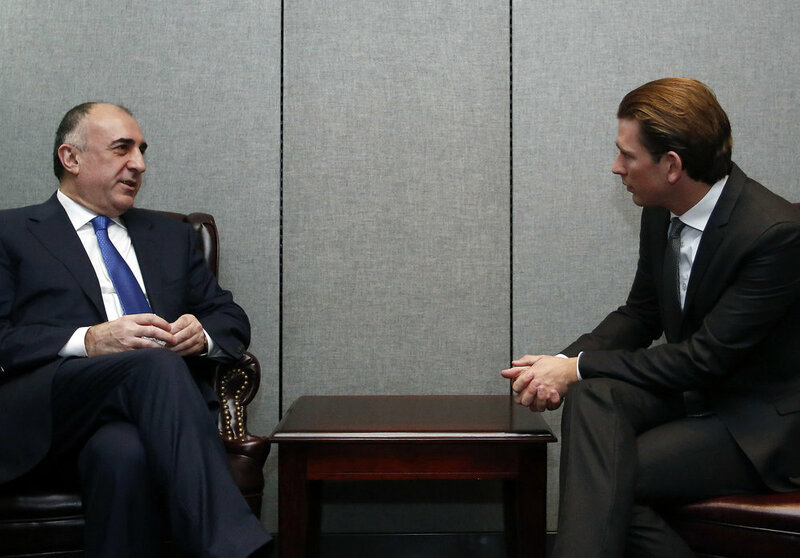 He also met UN Secretary General Ban Ki Moon together with Foreign Minister Kurz. Both had represented Austria the day before at the UN Summit for Refugees and Migrants and held a joint press conference for Austrian and international media. Chancellor Kern also attended a reception on the invitation of Ronald Lauder at the Neue Gallerie and held bilateral meetings with H.M. the King of Jordan Abdullah II Ibn Al-Hussein, the President of Egyt Abdel Fattah Al-Sisi, Iraqi Prime Minister Haider al-Abadi, and the Prime Minister of Canada, Justin Trudeau. Foreign Minister Kurz delivered the official Austrian statement at the 71st UNGA on September 21. Apart from his meetings together with Chancellor Kern, Foreign Minister Kurz met with human rights activist and Nobel Peace Prize nominee Nadia Murad Basee Taha, had a working lunch with the Foreign Ministers of the Western Balkan countries, attended the EU Foreign Minister’s Transatlantic Dinner with U.S. Secretary of State John Kerry and held bilateral meetings with his counterparts from Armenia, Azerbaijan, Kazakhstan, Kirgizstan, Libya, Pakistan, and Tajikistan. Minister Kurz also met with the UN Special Envoys for Syria and Libya as well as representatives of Jewish Organizations (AJC, ADL, and B'nai B'rith), opened an Austrian design exhibition at the Austrian Cultural Forum in New York and also attended the “Austrian-American Day” reception at the Austrian Consulate-General. 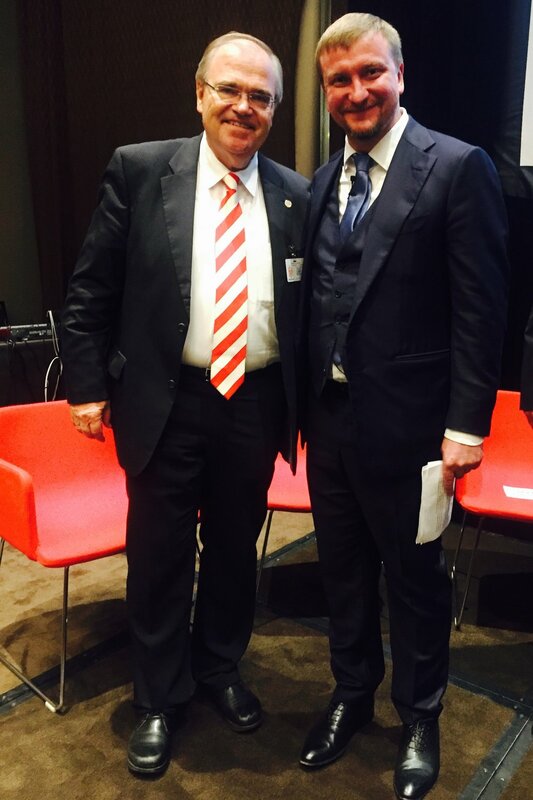 Austrian Minister for Justice Wolfgang Brandstetter attended a side event hosted by the Organization of Economic Cooperation and Development (OECD) on equal access to an independent justice worldwide. He also discussed the Agenda 2030 with high-level government representatives, including the Minister of Justice of Ukraine, Pavlo Petrenko. Newer PostInnovation Minister Leichtfried Visits U.S.